CabCall is a virtual taxi phone system, designed to enable groups of Hackney and Private Hire drivers to operate a taxi business without the expense of an office and operating staff. CabCall can use your existing phone number or provide a memorable number to put customers in direct contact with the next available driver’s mobile phone. We build each system to match your precise requirements and will ensure that your CabCall system evolves with your growing business. Why pay a greedy local firm or sit waiting on ever quieter ranks waiting for a job? Take control, get yourself a number, deliver some leaflets and get busy! The CabCall virtual telephone system has been built on the advice of many of our experienced taxi customers. We have advisors on hand ready to pass on priceless experience to get you started. As a radio company we have designed a network of radio transmitters that enable your jobs to be distributed between drivers over great distances. This radio system has been designed with CabCall customers in mind. If you operate a taxi business at the moment you will no doubt have quiet periods. Why not close your office during these periods and use the CabCall operating system to manage phone calls from customers? This will have an immediate impact on your overheads and reduce your costs. If you're just starting up your taxi company, you'll be looking to keep overheads low. 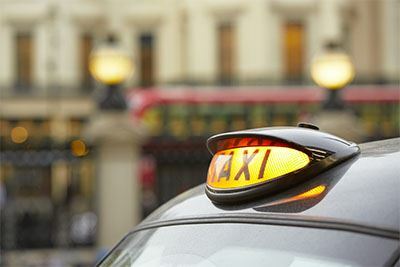 CabCall is an ideal solution, providing a reliable virtual telephone system for your Hackney and Private Hire drivers, and enabling you to cut out or significantly reduce office operating costs. The CabCall system enables a group of drivers to get together to run and control a taxi business without the need of a central office. Customers will call for a taxi and be put directly through to the next available driver. Our system distributes jobs evenly between the drivers and all call logs are stored securely online. The CabCall system is easy to use and customers love it because they are given accurate information from the driver.